We got our first details earlier today on Fox’s upcoming X-Men: Dark Phoenix film. We know Xavier’s students will make it into space and inadvertently unleash the Phoenix sleeping within Jean, but newly released photos reveal just how dark and devastating the film will be for the X-Men. In a new set of photos and interviews from Entertainment Weekly, the Dark Phoenix cast and crew detail how, after the initial event that awakens the Phoenix, the X-Men are forced to reckon with a Jean they don’t entirely understand. According to Sophie Turner, this incarnation will struggle with the duality of her newfound nature as the Phoenix repeatedly takes control and turns her into a “confident, arrogant, judgmental” version of herself. There will be moments where Jean recaptures her humanity, but she’ll always be on the precipice of a mental breakdown, setting the stage for the Phoenix to manifest again. 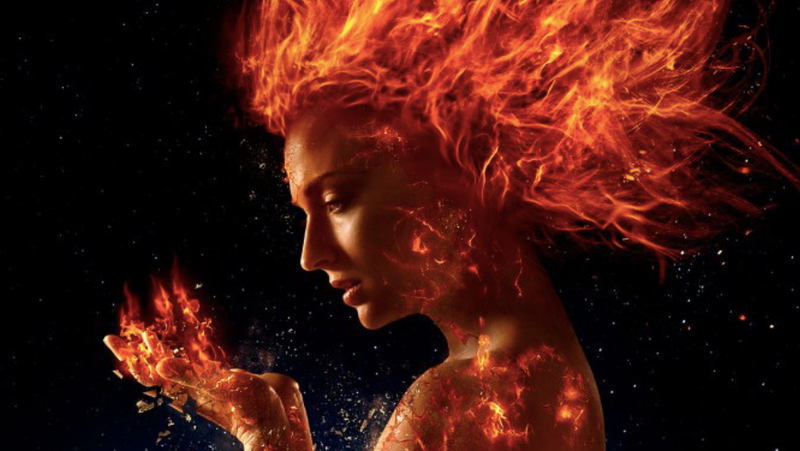 Though much of what plagues Jean will come from within, she’ll also be tormented by Jessica Chastain’s currently unnamed character, an “otherworldly shapeshifter” who deftly manipulates Jean and the Phoenix for her own nefarious goals. While Fox hasn’t stated who Chastain’s character is, one of the more popular theories bouncing around is that she’ll be portraying a version of Lilandra of the Shi’ar, a race of aliens who have a long history with the Phoenix in Marvel’s comics. In Marvel’s Ultimate X-Men, Lilandra was reimagined as the member of a Phoenix worshipping cult seeking to reawaken the entity within Jean. Dark Phoenix may very well borrow from Lilandra’s various comics appearances to shape her role within the film. This wouldn’t be a proper Phoenix movie if someone didn’t die and X-Men: Dark Phoenix knows it. At some point in the film, one of the X-Men is going to bite the dust, but it’s unclear who. EW’s photos also show Xavier, Storm, Scott, and Nightcrawler coming together for someone’s funeral, and there are enough X-Men in the mix that it could be any number of different characters who end up six feet under.